Last week my cousin gave birth to her first baby, sweet little Zoe. Is there nothing sweeter than those baby cheeks, chubby hands and cupid lips? 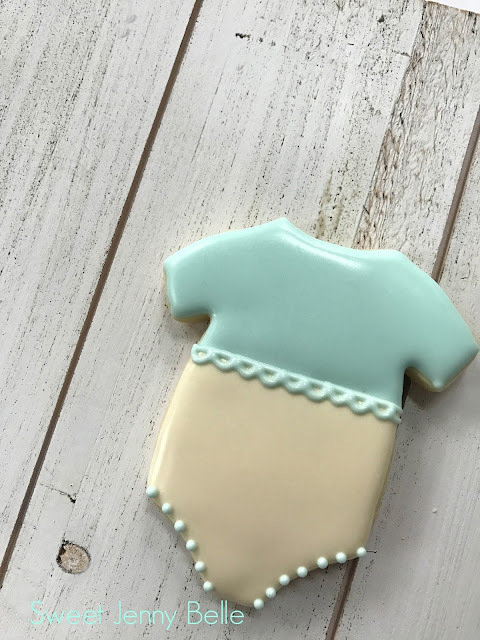 Babies are absolutely one of the best reasons to create decorated cookies - sweet inspiration and those sleep deprived parents can certainly use a sugar boost to keep them going. 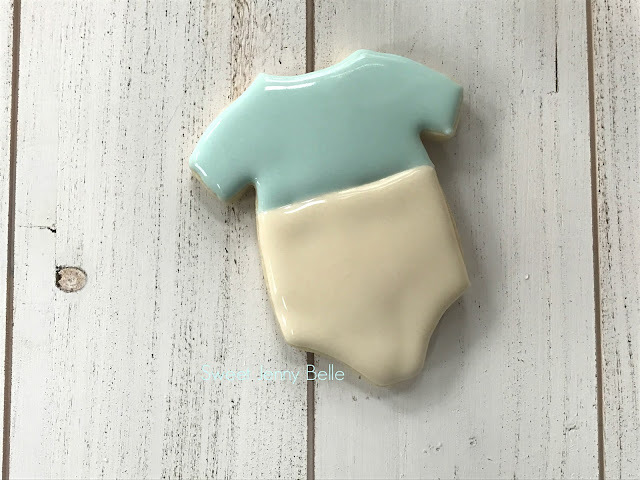 Although pastels are not my go-to palette, I do love it and it's perfect to welcome a newborn. I work with both Americolor and Wilton gels to color my icing. The key for me to getting a very soft hue is to use the tiniest amount of color. Colors deepen as they dry and it's much easier to go darker than you anticipated. I will use a toothpick to pick up the gel, rather than squirting it into the icing bowl as I normally would. My friend Georganne of Lilaloa has a great post about her technique for pastels. I use her method for creating my grey icing all the time - another color that is easy to make too dark too soon. The key in either method is to go light and slow with the gel. 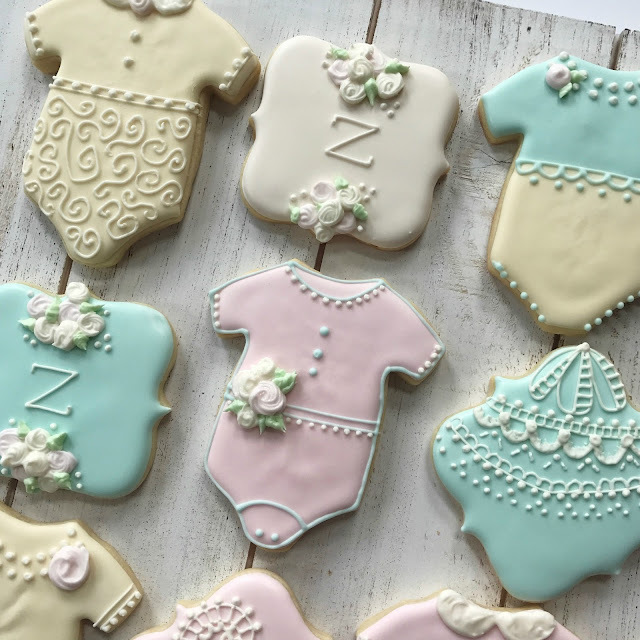 These cookies are quite easy and will make the new mother feel special and loved. Perfecting these baby onesie treats requires understanding the different levels of icing fluidity. 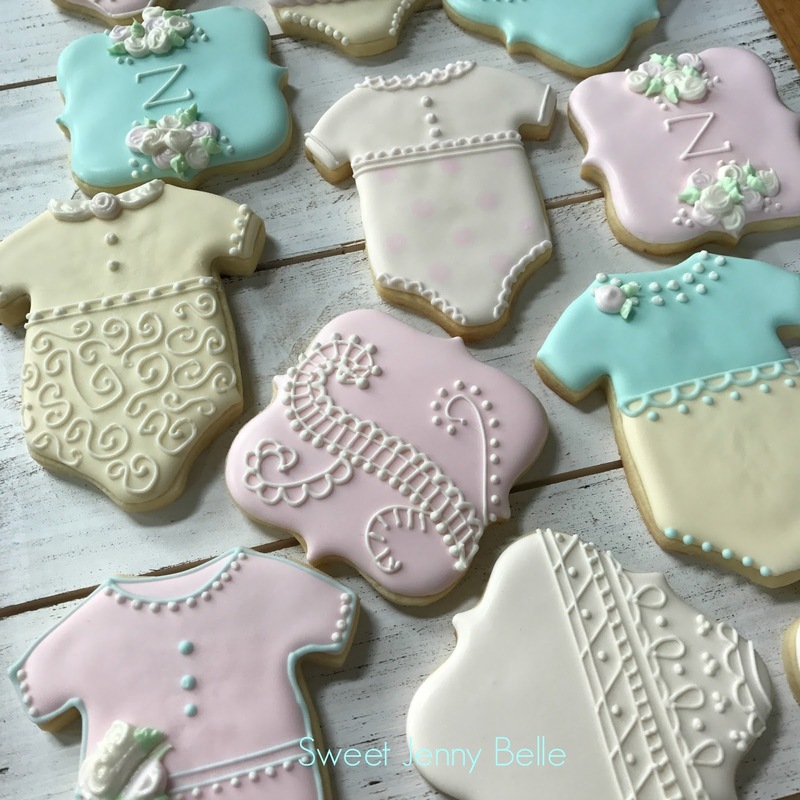 Sweet Sugarbelle has a very informative post on different royal icing consistencies. If you ever have questions, please drop me an email and I would love to help. 2. Once the base is flooded, dry for 10 minutes in your dehydrator at 90 degrees or for 2 hours at room temperature. 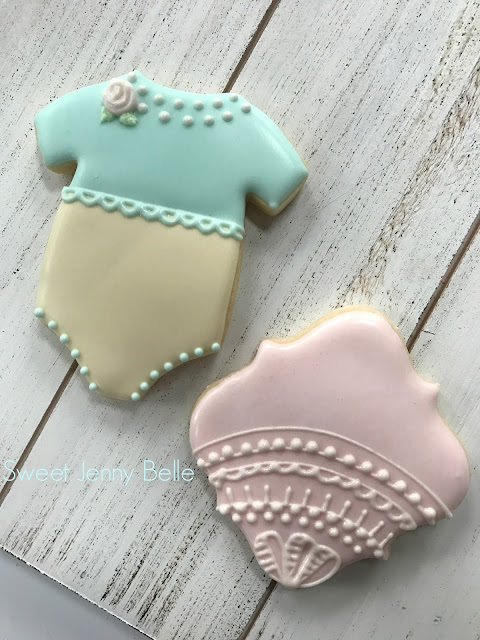 The top of the cookies will have a soft shell, you can begin your detail work, but keep in mind that the cookie is not completely dry - so handle gently. With the same blue flood icing, add dots to the leg openings. Then ice a line where the blue and yellow base meet. Add a sweet little scallop trim to the line. 3. 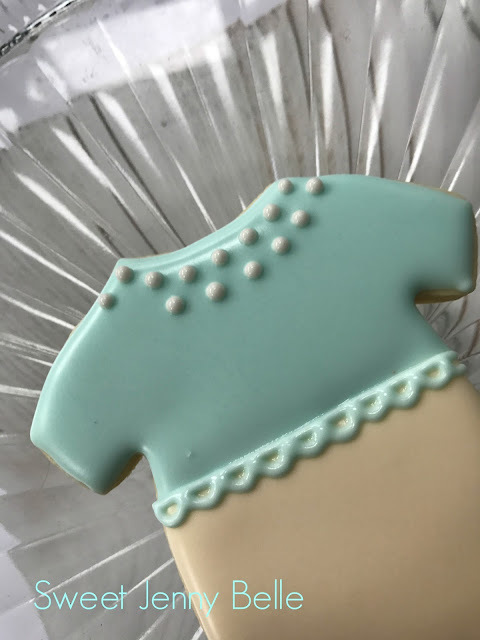 Using your piping thick white icing, decorate the collar with a mock pearl necklace. Leave one dot off on the second strand - this is where you will be adding your rose. 4. Fill an icing bag with tip #14 and the stiff pink icing. Starting in the center of the rose, ice a small circle. (See video below for visual clarification). 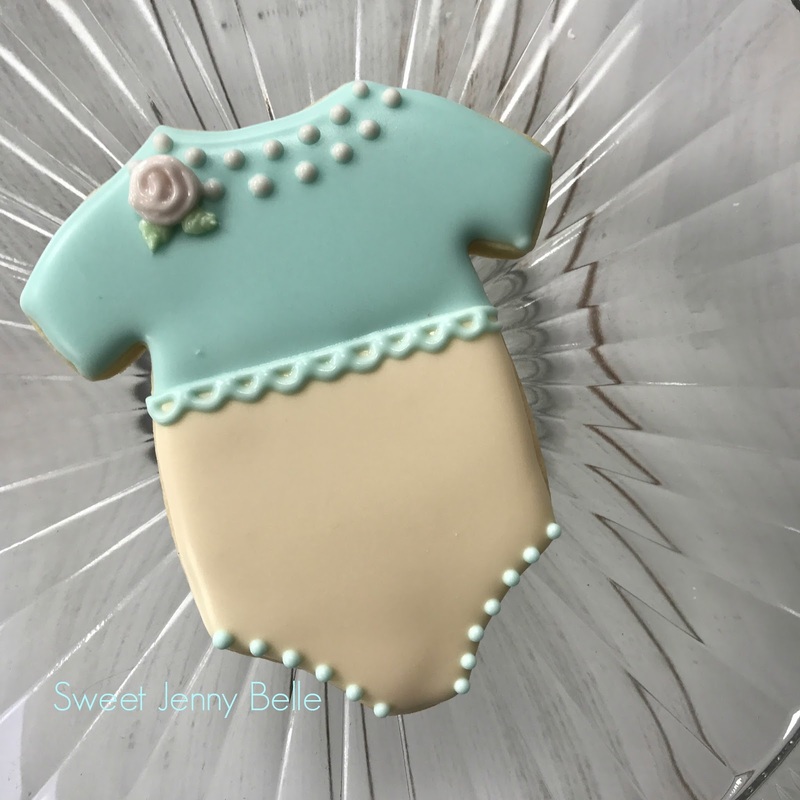 You could also make these roses in advance on a piece of parchment and "glue" on to the onesie with a dab of fresh icing. Fill a different icing bag with tip #2 and the green icing. Frost two small leaves coming out from the rose. These are really just small triangles - easy peasy! And that's all there is to it. Isn't that the sweetest little baby cookie? 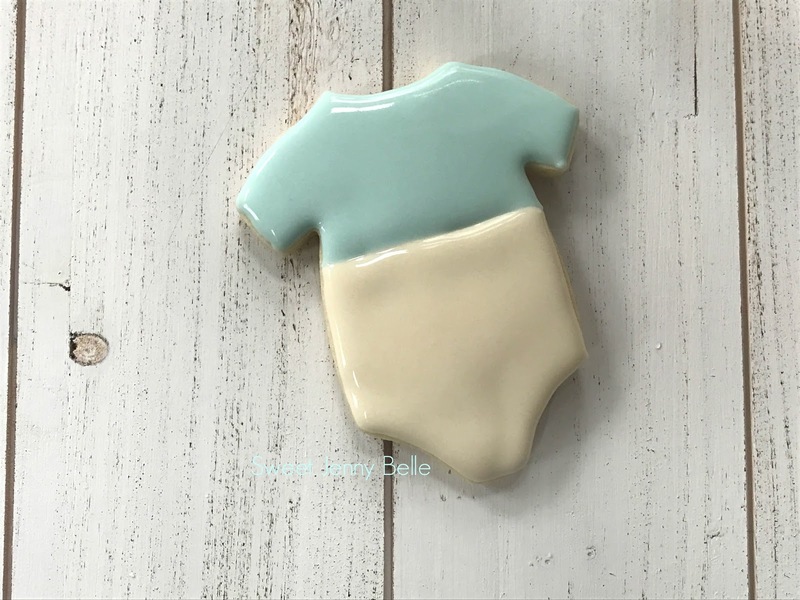 So many fun possibilities to decorate these little onesies. Change the colors, the trim and it's a whole new look. I guarantee you that new parents will welcome these treats with open arms. Are you a visual learner? Me too! I made a little video on how I created this cookie. Just click the video above and I will run you through it. Have questions, email me and let's chat! These are way easy and you will be surprised by how many compliments you receive over them. Don't forget to Pin this tutorial! 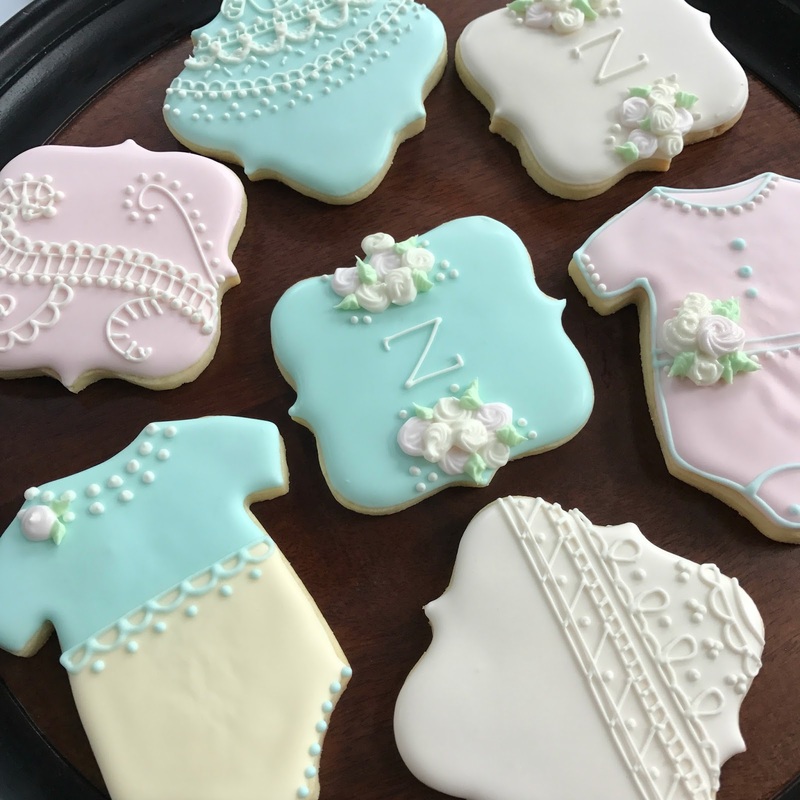 Are you looking for a royal icing recipe? Look no more, I have a full tutorial over on this post.